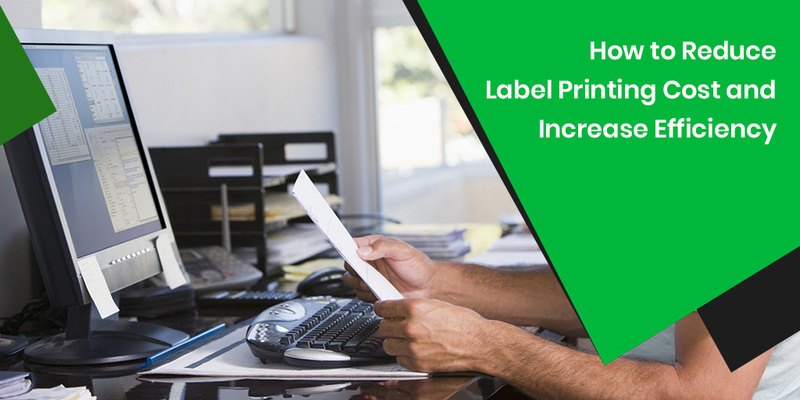 Businesses who are in label printing business do want to cut cost and make their production more efficient. One way to do it is by reducing label size, using cheaper inks and using alternative substrate, but, this is reduce cost only a little and at the same time reduce the quality of your production which will be a wrong approach for your business. Moreover, if your customer’s needs are not met they will go elsewhere. However, to make your business more cost-effective you need to take a look at your current production practices and technologies which can be changed for more efficiency. Here are a few ways to reduce your printing cost. To comfortably accommodate your production needs, you need a printing press with room to increase or decrease production volume but not so much that you waste its capacity such as a printing press with wide web width greater than your production requirements. On the other hand, if you employ a printing machine with a narrow web at the same time keeping large print quantities, you machine will pose greater risk of repairs in a short period of time because your machine will have to work hard to meet production requirements. Eventually your business will get reduced production speed and capacity. To get the right printing equipment you need to take calculated step by working out the average printing output for the past years and strategize trajectory for the next 5 years. Keep in account any changes that they occur from time to time such as printing out large orders. Plus, you also need to find the equipment that best offers the most cost-effective output to fulfill your production needs. However, if you have got the space and the budget, yet not sure of your output, you need to invest on multiple smaller equipments so that the printing load can be balanced. This enables flexibility and at the same time reduces maintenance costs. Moreover, you also need to take care of your ROI as larger investment mean longer time to achieve a desired return on investment. You have to consider all possible ways to reduce energy expenditure, as in the long run they add-up to become a significant expense. For this purpose, modern machines are of great importance, as they offer better energy efficiency than older models. Plus, you need to realize that automation is a necessary feature to add-up to your cost-effectiveness. Today’s hybrid and digital printers can seamlessly switch between working mode and sleep mode when necessary which eventually reduces energy expenditure between print cycles. Although conventional flexo printing is still considered the most cost-effective method for medium to large print runs, it still involves some major disadvantages such as preparing printing plates, setting up print cylinders for each label and so on. Moreover it is a labor intensive and lengthy process and not responsive to last-minute changes or when customers have a diverse print requirement from a single run. With flexo printing, small errors can lead to a huge wastage. On the other hand, digital printing is easier to set up and enables dynamic changes when needed. If you typically run short prints, digital printing can help save you significant amount of money across your production line. However, if you want to run both shorter and longer prints, you should consider a hybrid solution such as a digital press with a modular flexographic printing will save you tons of money.